You might have been noticing a little brand loving around here lately when it comes to La Roche-Posay! I’ve fell head over heels for their Effaclar Duo+ and the Targeted Breakout Corrector. When it came to trying out the Soothing Toner the standards had been set and my hopes were high. I picked the La Roche-Posay Physiological Soothing Toner up in Boots on their 3 for 2 skin care offer (best way to try out some new products at a slightly reduced price!). It retails for £12 for a 200ml bottle. The toner is pH balanced, soap and alcohol free, colorant free and paraban free. The toner is aimed at sensitive, acne prone skin so its fragrance surprised me. It’s the fragrance ingredients in skin care products that really sets sensitive skin on fire (OK, your face won’t actually go up in flames but it sure feels that way sometimes!). Occasionally I do get that 'my face is melting' sensation when using this, usually near my eyes at the highest point of my cheeks. It’s uncomfortable but it doesn't always occur. La Roche-Posay say this toner has high make up removing power...yet two lines above that they say to use it alone or after removing your make up. Well, that doesn’t make much sense to me! We all know not to use toner near our eyes but, being a brave little blogger, I tried to remove some non-waterproof mascara with this toner. Fail. It took some away but I was left with the ol' panda eyes look. I find it works best to remove your make up with another product, and then cleanse your skin. After cleansing, apply the toner to a cotton pad and sweep in gentle circular motions across your face, always working upwards and out. Never pull, tug or scrub with the toner, your skin won't thank you for it! Let the toner dry naturally then continue your regime! I have really enjoyed using this toner, my skin always feels extra clean afterwards but I have noticed it's starting to get much oilier through the day than it did before I used the toner. The cotton wool pad rarely comes away with any excess dirt so at least I know my cleanser is working well! I’ve decided to move this to an evening only product though in a attempt to control the excess oil I’m getting during the day. I know they say you should tone twice a day but everyone’s skin is different and you’ve got to find what works for you! In all it's a nice little product that gives your skin that squeaky clean feeling. It’s refreshing and generally pleasant to use but I’m not convinced its worth repurchasing. 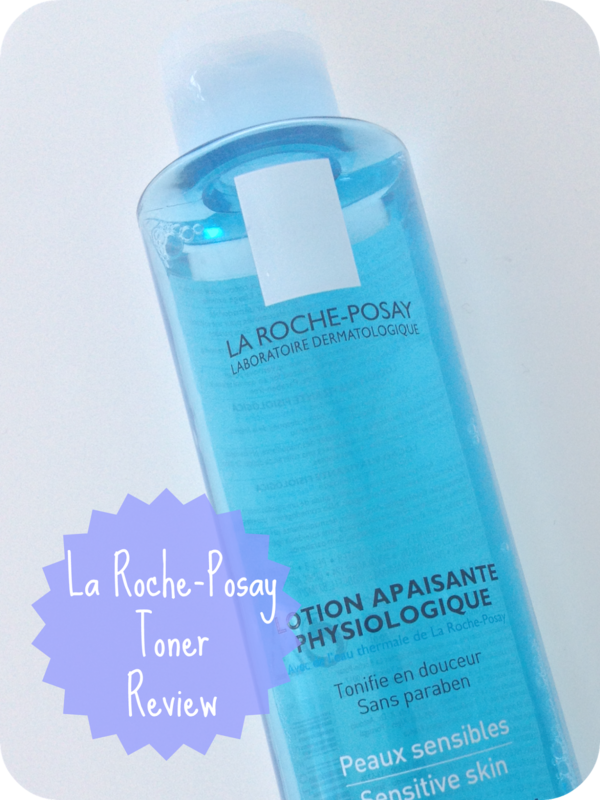 Have you tried the La Roche-Posay Soothing Toner? Let me know in the comments below!